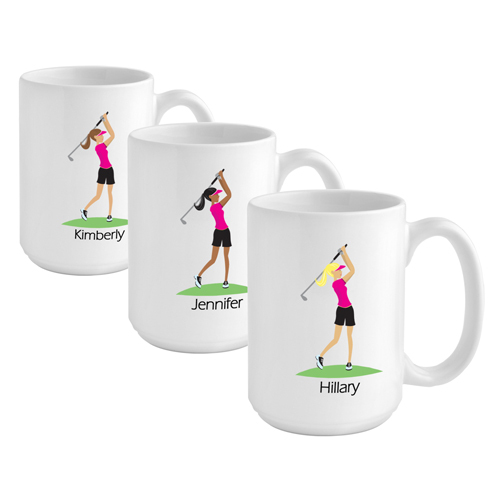 JDS Personalized Coffee Mug: "Go-Girl"
* Give her a nod of approval and a "job well done" when you reward her with our contemporary "Go-Girl" personalized coffee mug, the perfect gift for your favorite active female. 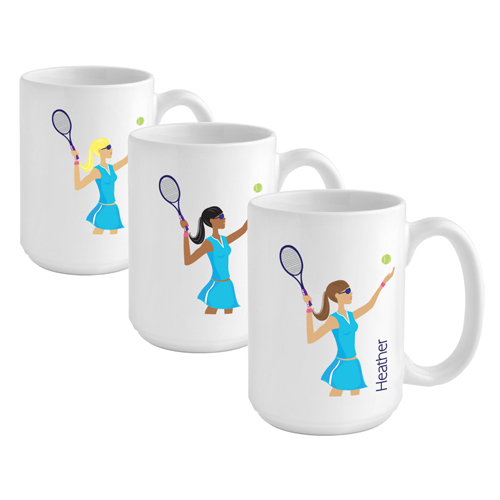 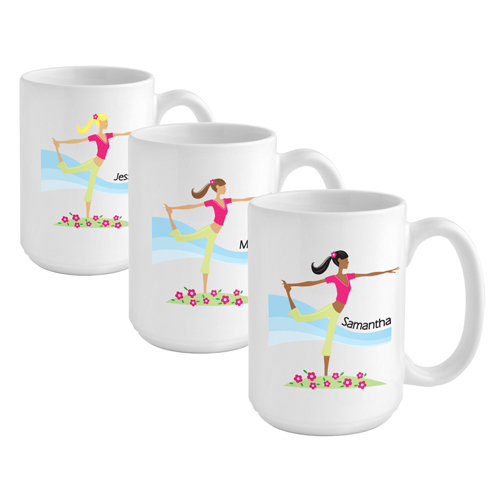 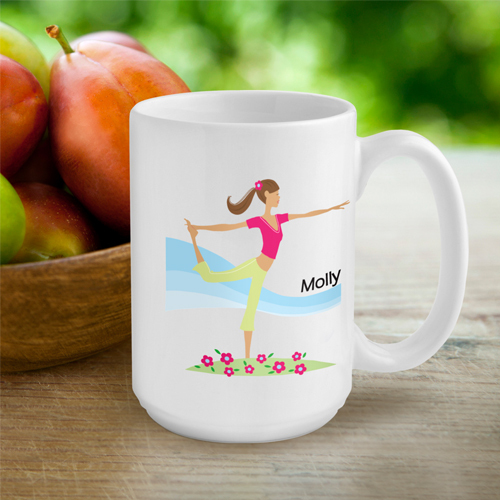 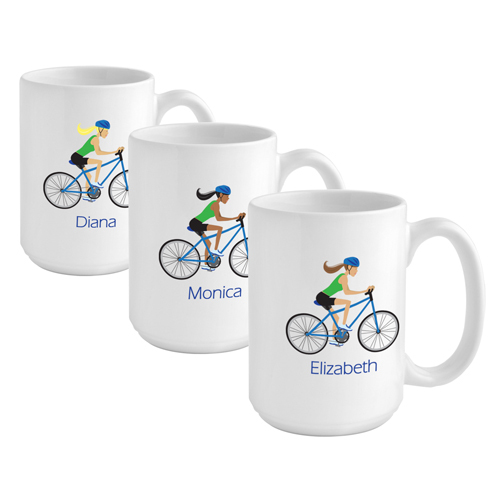 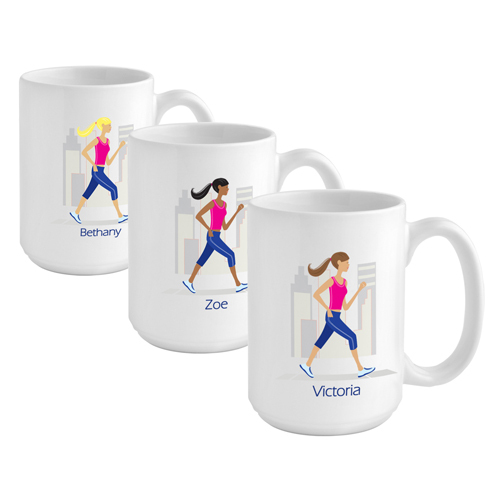 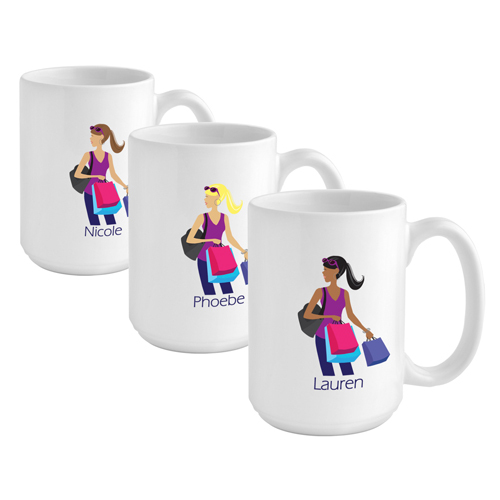 * Whether she's a super swimmer, a great golfer, or a devoted shopaholic, she'll love our sturdy white ceramic personalized coffee mug with colorful "Go-Girl" icon. 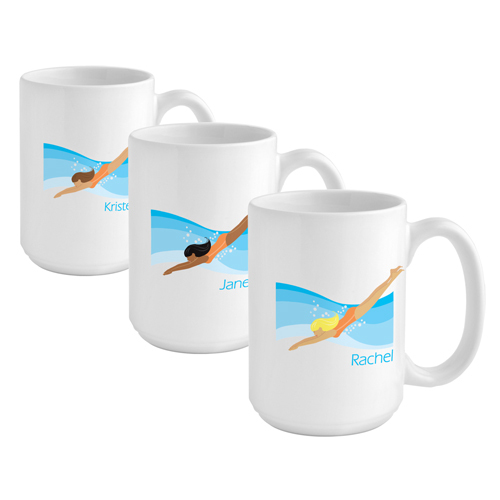 * Heavy ceramic mug holds 15 ounces. 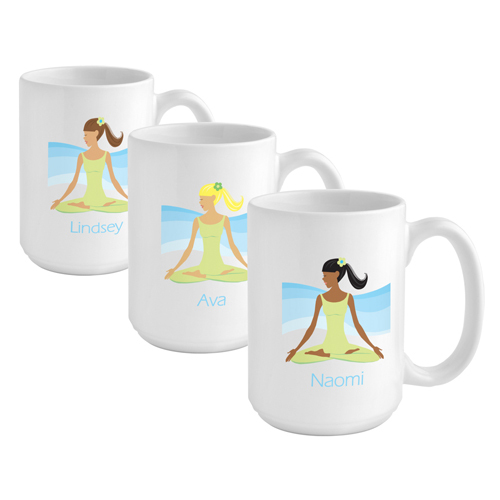 * Choose hair color and activity. 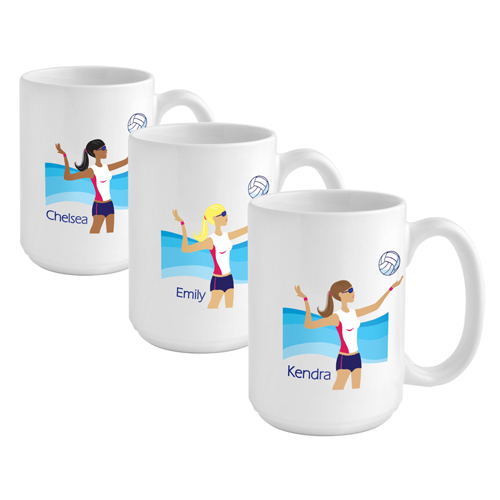 * Personalize with one line of up to 10 characters.